You can walk in God's abundant blessings. - Publisher INCLUDES TEACHING CD ON "ENDTIME ECONOMICS"
The Secrets to a Life of Prosperity! Today's dire financial forecasts and news headlines proclaiming economic doom are enough to make anyone fearful and hopeless. Christians, however, need not rely on news reports or politicians but on the holy and powerful Word of God, which says, "God shall supply all your need according to His riches in glory by Christ Jesus" (Philippians 4:19). 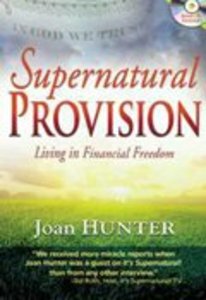 Author and Christian healing expert Joan Hunter believes that just as God can heal believers physically, emotionally, and spiritually, He can also heal them financially. By embracing a mind?set of prosperity, you can overcome the spirits of poverty, lack, pessimism, and failure, and take possession of your "land"?resources, finances, and opportunities. Speaking from experience with overcoming financial hardships, Joan will help you to multiply your finances and receive the resources to become all that God has created you to be. INCLUDES TEACHING CD ON "ENDTIME ECONOMICS"